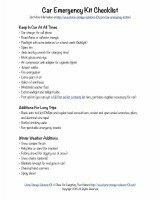 You'll find the printable version below, as you scroll down, but you can read what supplies you'll need to keep for your home kit right here. 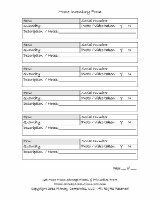 The list is meant to be a guide for you, a checklist of sorts, to help you remember what you may need and to make sure it is on hand at all times. 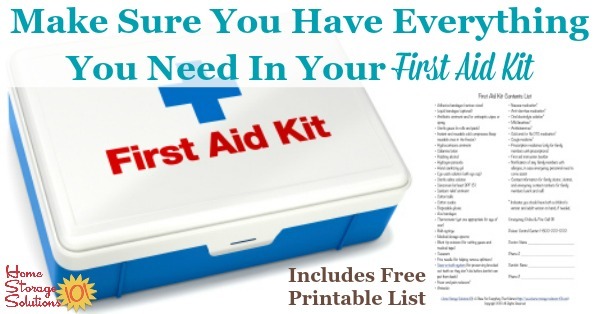 I suggest printing out a copy of the list for yourself and placing it in your first aid kit that you create, or purchase, so you can make sure you keep all the necessary supplies in stock as they're used, or as they expire and need to be replaced with fresher versions. It is best to re-check your supplies at least every six months, to make sure you have a chance to replace older supplies before the emergency itself occurs. To get the full scoop on organizing medicines in your home check out the First Aid & Medicine Organizer Center Challenge, which is part of the 52 Weeks to an Organized Home Challenge. 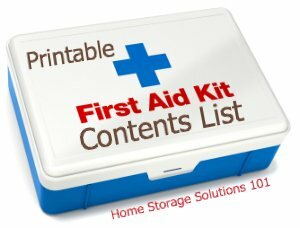 The first aid kit you keep handy in your home is meant to deal with minor first aid issues, and should be separate from the kit you keep with your emergency supplies. 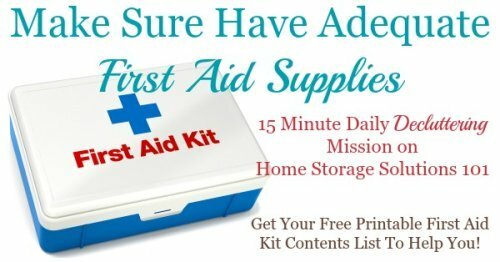 That's because you should have some easily accessible first aid supplies in your home that aren't necessarily mixed in with your disaster supplies. 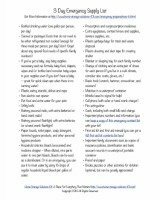 You do need a first aid kit within your emergency preparedness kit though, and the list below can give you good guidance for what should be included in these emergency supplies as well. Further, the list below is merely a guide. Each family's needs are unique, so you may need to add or subtract items as circumstances change in your home, including as your children age (or new children are born). *Indicates you should have both a children’s version and adult version on hand, if needed. However, making a homemade version is not for everyone, including those without much time or who don't want to buy such large quantities of each item that they hopefully may not even need. In such a case a pre-made or commercial kit may be better for you. Here are some good ones to choose from, but remember that their contents may vary and may not have everything listed in the checklist above (or perhaps they have things I haven't listed above). Make sure to get a kit that is for home use, not an OSHA kit which is meant to deal with workplace first aid. Don't forget to also get a first aid kit which can serve for emergency and disaster use.